In this map more than fifteen fragments of old maps of Asian countries called "Gaihouzu" were merged together in a shape of western part of Japan. 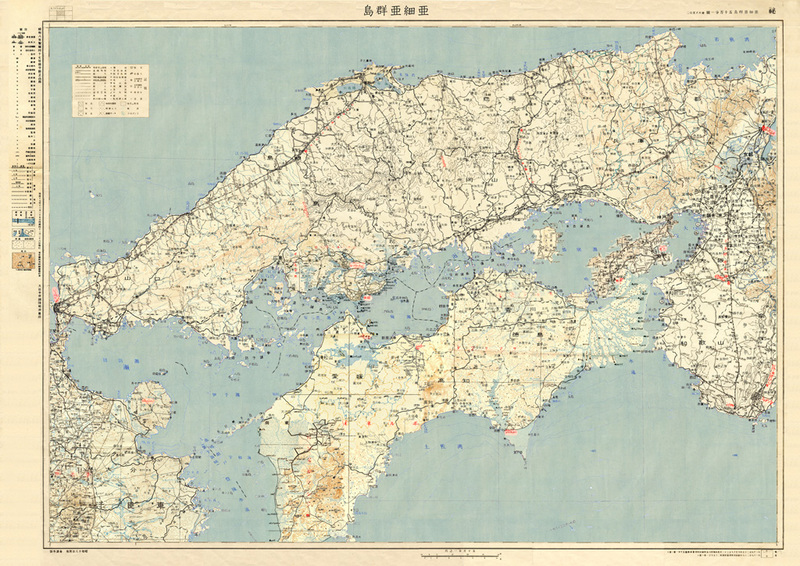 "Gaihouzu"means maps of Japanese territory outside Japanese Archipelago and were made by Japanese army in the 1930s and 1940s. Many of them were reprinted from condemned plates made by Europian powers who had been colonized these countries. Here, the battle fields invaded by Japan occupy Japanese lands.